I read this article and found it very interesting, thought it might be something for you. The article is called An Ambitious Government Hospital Chain Project Falters and is located at https://archive.indiaspend.com/sectors/an-ambitious-government-hospital-chain-project-falters-92644. 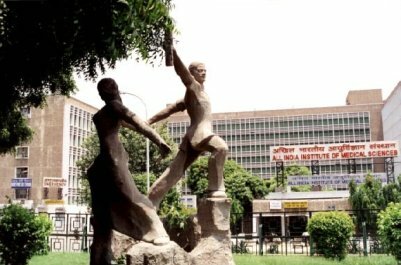 The ongoing fracas over Bollywood actor Aamir Khan’s criticism of India’s failings in medical infrastructure incentivised us to revisit a 2004 Government plan to replicate the prestigious All India Institute of Medical Sciences (AIIMS) hospital in Delhi across 6 more centres in the country. The AIIMS initiative were announced by former Prime Minister AB Vajpayee during his Independence Day speech of 2003, 9 years ago. The first foundation stones were laid in Patna on January 2004. In September, 2011, IndiaSpend had filed a Right To Information (RTI) petition seeking a status report in terms of work done and funds spent on the project. The reply gave a sense that progress had been limited. The AIIMS Project (subsequently expanded to 8 AIIMS) was supposed to have been completed in 2011. IndiaSpend’s Sourjya Bhowmick now examines a more recent Ministry of Health and Family Welfare report which updates the status of the AIIMS as on February, 2012, and concludes that for the best part, the ambitious AIIMS project is only half-done. A little bit of history. The 6 new AIIMS were part of the Pradhan Mantri Swasthya Suraksha Yojana (PMSSY) scheme. The PMSSY, approved in March 2006, absorbed the 6 AIIMS project along with a fresh plan to upgrade 13 medical college institutions. The Delhi AIIMS incidentally hosts 2.3 million patients per year or almost 8,000 patients every day. Delhi has 1,766 beds in all with 1,323 doctors and 1,810 nurses. The 6 AIIMS are in Rishikesh, Raipur, Patna, Jodhpur, Bhubaneswar and Bhopal. The Government subsequently initiated 2 new AIIMS in West Bengal and Uttar Pradesh. Reports suggest that a steering committee on health (which had 40 members) for the 12th Five Year Plan suggested that 4 new AIIMS were required. This would mean 1 existing, 6 upcoming, 2 planned and 4 more; or 13 in all. Hospital expected to start by 2013-2014. Appointment of faculty and administrative staff in progress, appointment orders to 6 Directors already issued, Director of Patna and Bhopal AIIMS have taken charge. The table below shows the total progress made so far (in percentage terms). These figures are based on Government data available in the latest report devoted exclusively to the PMSSY. The Raipur and Jodhpur AIIMS are through with their residential complexes. Even Rishikesh and Patna are not far behind. But the critical hospital complexes are delayed – barely half have been completed in most cases. The residential and college complexes are, presumably, more civil constructions and don’t involve much specialised inputs. This table lists the various targets for completion. It also showcases the revised dates of completion. It would appear that the residential complexes would be completed on time. But the medical colleges and hospital complexes would be tougher. And yet, in a situation where 50% of the work has taken several years to start, the Ministry expects to complete all the Hospital complexes by September 2012. For example, the AIIMS project in Raipur, which was supposed to be completed by August 2010, took one and a half years more to get through with its residential complex. The Hospital and Medical Complex of Raipur kicked off in May 2010 and September 2010 respectively. And yet, as of February 2012, less than 45% is complete. Total project cost, as per the document released is Rs 2,152 crore. However, this is the cost for just the Medical College and Hospital Complex. The initial estimated cost was Rs 2,600 crore and a completion target of 2011.The total expenditure was Rs 922 crore till September, 2011. Interestingly, in all cases, the construction of the Medical College and Hospital complex started as late as May 2010 and September 2010. The delay in construction, given the inherent problems of land acquisition, political interference and tendering etc is not unusual. What follows the delay is the eventual escalation of the cost. From the above table it is clear that the PMSSY is doing well compared to the progress of AIIMS. 7 out of the 13 are through with their upgradation. Except for Srinagar Medical College, others are expected to be completed by this time. Coming back to AIIMs, the 2 additional hospitals planned in Uttar Pradesh & West Bengal have been hitting roadblocks. The Rai Barelly AIIMS in Uttar Pradesh faced political interference as did the Raiganj AIIMS in West Bengal – the latter because of a clamour for a new location. Now, the And Planning Commission has proposed 4 new AIIMs. The wait for quality medical facilities will clearly last much longer.